Angular Material is an UI-Kit used for implementing the Material Design into web application. It’s based on the android style but it can be used for both, web and mobile applications. The UI-Kit offers you a set of reusable, well-tested, and accessible UI components. Angular-Material has some good implementation for AngularJS and has some powerful features and build directives for AngularJS. Angular Material provides a big list of directives and services which can be used. These features are powerful tools to build the front of a webpage. 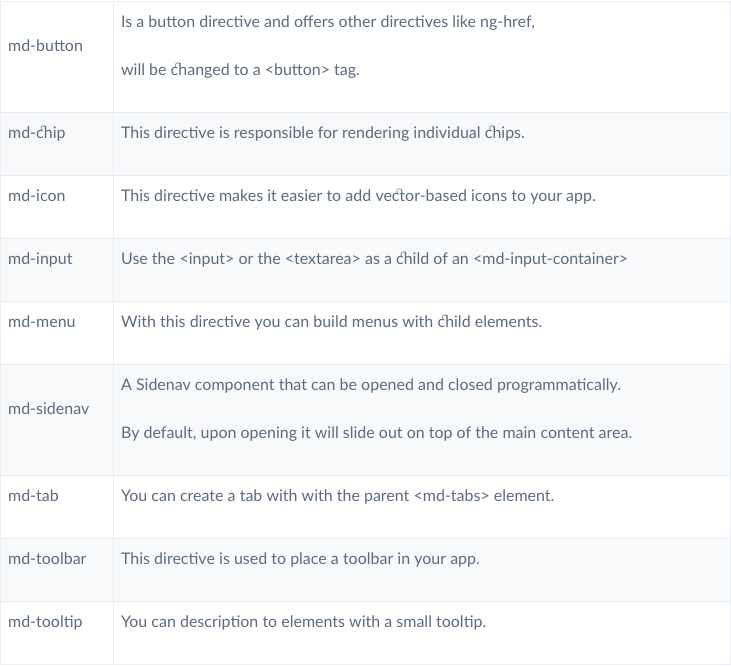 Angular Material provides also many designs for your web application within buttons, forms and other things. 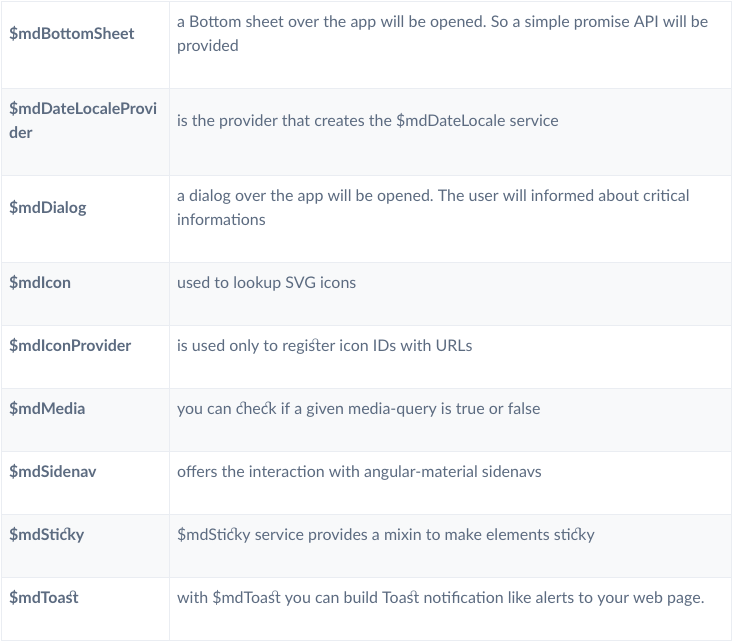 API References are splitted in 3 sections Layouts,Services and Directives. AngularJS is based on the responsive flexbox design. The layout is based on css classes which you can add to the html. How do you use Angular Material? Now you can use Angular-Material in your AngularJS application. What does Angular-Material offer you? The Angular-Material looks like the following button, very nice! You can change the button style by changing the class. “md-primary” for a blue button with white font color. Without a specific class you have light grey button with dark grey font.